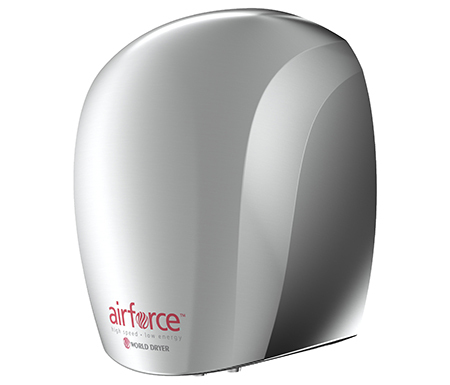 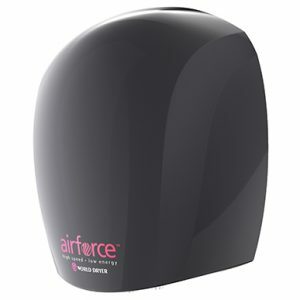 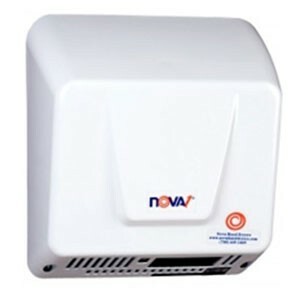 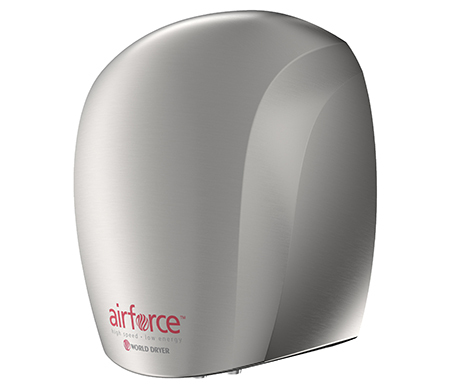 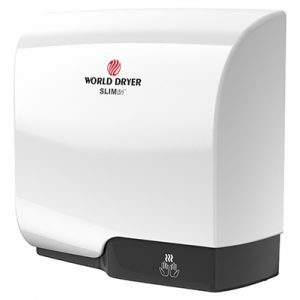 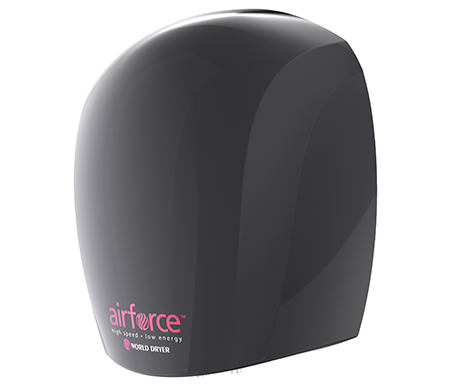 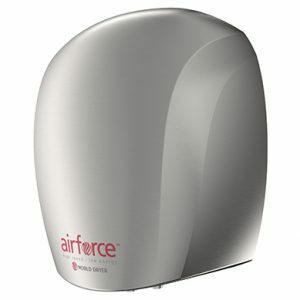 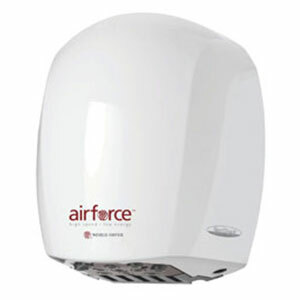 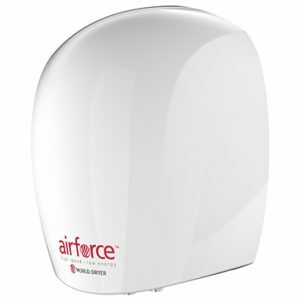 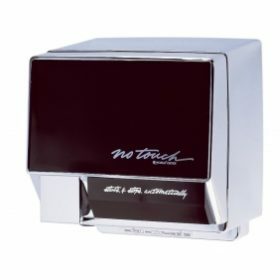 Airforce is an energy efficient, hygienic and fast automatic hand dryer. 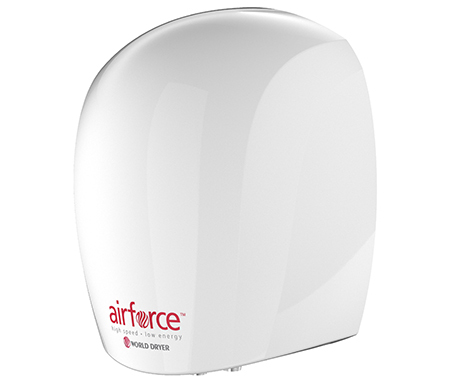 Airforce is manufactured with patented SteriTouch antimicrobial material reducing the spread of harmful bacterial. 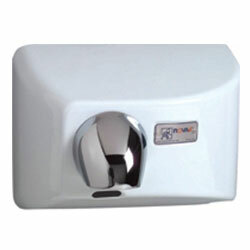 Its light weight and modern sleek design complements any washroom décor.